The House passed its “Tax Cuts and Jobs Act” November 16th and the Senate passed its version December 2nd. Both bills would raise taxes on many low- and middle-income families in every state and provide the wealthiest Americans and foreign investors substantial tax cuts, while adding more than $1.4 trillion to the deficit over ten years. 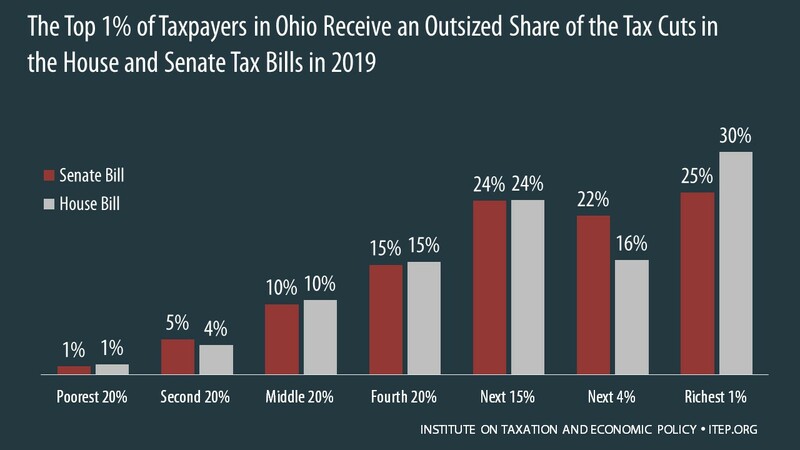 The graph below shows that both bills are skewed to the richest 1 percent of Ohio residents. Additional data on the impact of the Senate and House tax bills on Ohio residents can be downloaded here. To view ITEP’s full analysis on the two tax plans, click here.